Are you planning a house extension? Loft or garage conversion, a new conservatory, a bedroom or a self-build from scratch? Are you looking to plan the design yourself or for a client? 3D Architect Home Designer Expert is an easy to use house plan software with an intuitive interface and a consumer friendly functionality that is ideal for the users without any CAD experience. Once you open the program, you can begin drawing walls within seconds and have your entire floor plan drafted up to scale within minutes. The 3D Architect technical team are always available to answer any support questions and queries. Should you require any assistance at any time, a friendly member of the team are only a phone call away. 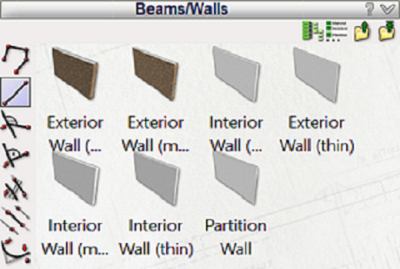 Simply select the type of wall you would like to use from the catalogue provided. Left click once to set the starting point, set the length using the numeric input on your keyboard and the angle in degrees. 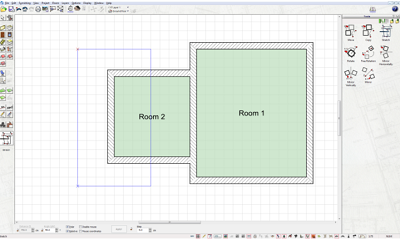 All features within the house plan software are carried out using a drag and drop method which is quick and easy. Adjust the walls thickness and select the most suitable material to match your specifications. Note: Hold down the Shift key at the same time of drawing a wall to ensure that it snaps to a vertical or horizontal position on sheet. 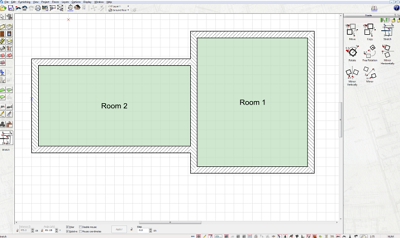 Before placing wall in position, use the key combination Ctrl + W to toggle between the wall edges and wall axis. This lets you define which wall edge you wish to place e.g. the inside edge of wall, centre line of wall or outside edge of wall. Try pressing this key combination a few times to see the effect on screen. When you have reached correct wall length, left-click to set the end point of wall. Repeat these steps to continue drawing vertical and horizontal walls. 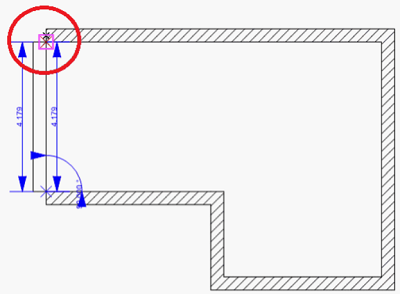 With snap on by default, the wall will attach itself to existing wall. The wall corners will form automatically. Make use of the advanced drawing tools available to assist you when designing any complex house plan design. Round off corners, adjust wall length, create bevel corners and much more. 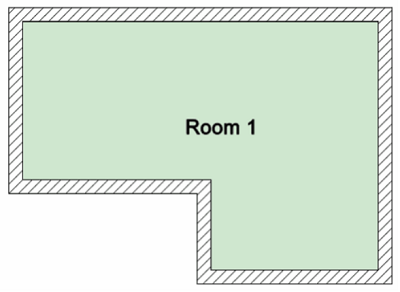 The Stretch tool utilizes a standard polygon area to define which part of the building is included in the stretch area. Anything not included in the polygon will be left in its current position. Open the Background dialogue box where you can change the background colour or image for the 3D model. Through the Type drop down list, this can be from a selection of colour and wrap styles including gradients and solid colours or use an image (for example a photograph taken from the site or your build). See how your house will fit into your neighbourhood.